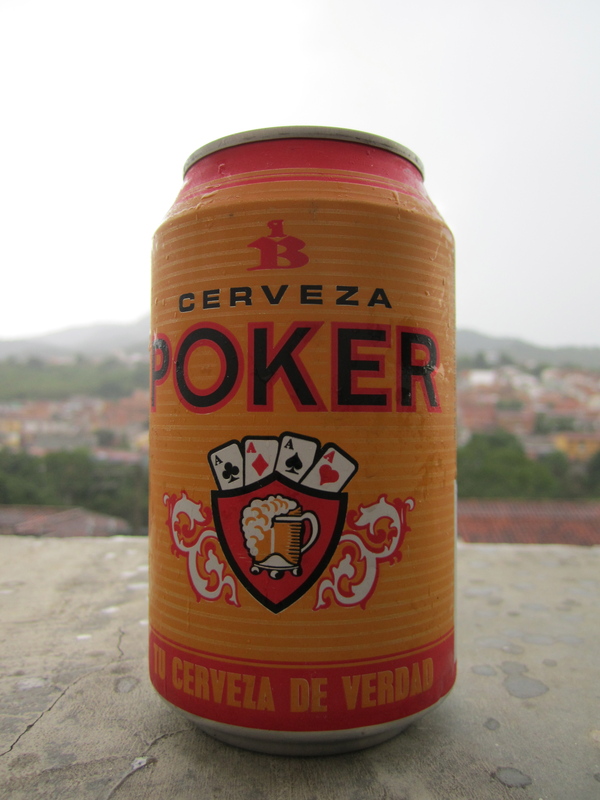 Cerveza Poker - Any Players? At a price point of under a dollar per beer, I would say that is where the winnings come in. It tastes some where between a warm Heineken and a cold Natural Ice. Nothing against those beers, but POKER is really nothing to write home about… unless you are me and are covering beers around the world. So to summarize, I would only buy Cerveza POKER if it was the only beer in the cooler, and it was a really, really hot day, and the water looked dirty. This entry was posted in Colombia, Joe's Chips and Beer. Bookmark the permalink. Hmm, maybe a bad beer, but an awesome name! Joe – so far, you’ve really been taking one for the team on the beers, it seems. Nothing much to get excited about for sure. Oh well, I guess you’ll just have to keep pluggin’ away.